The researchers gathered input for the study by placing GPS collars on 18 cats and also asked visitors to national forests if they’d carry GPS collars in their backpacks or snowmobiles. The Canada Lynx resembles a bobcat with huge feet that serve as snowshoes, allowing it to track and attack prey on snowy landscapes. It lives in dense forests and mates once a year, producing an average of two to five kittens per litter. The lynx is prevalent in Canada, but it is listed as a threatened species under the Endangered Species Act in the U.S., where it lives mostly along the U.S. and Canadian border. Tracking data from the study revealed that the lynx spends most of its time in dense forest areas, while recreationists generally use open spaces or less dense forests. For the most part, it’s a peaceful co-existence. 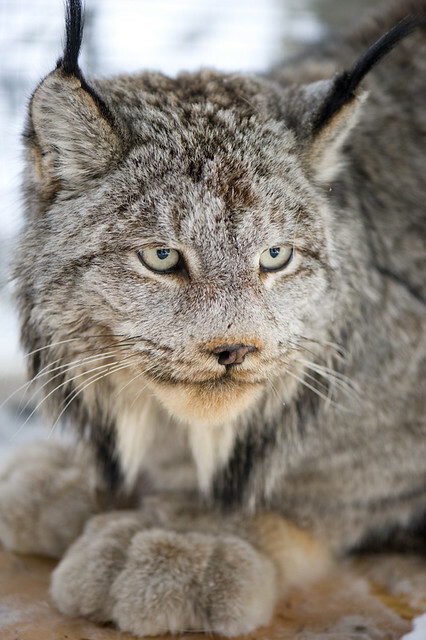 This research will help land managers balance the habitat needs of the Canada Lynx with the expectations of recreationists – especially during winter, when visitor activities such as cross-country skiing and snowmobiling help boost local economies across the Western U.S. It also helps land managers to better predict how forest management can influence the movement of lynx and recreationists across the winter landscapes of the Rocky Mountains. 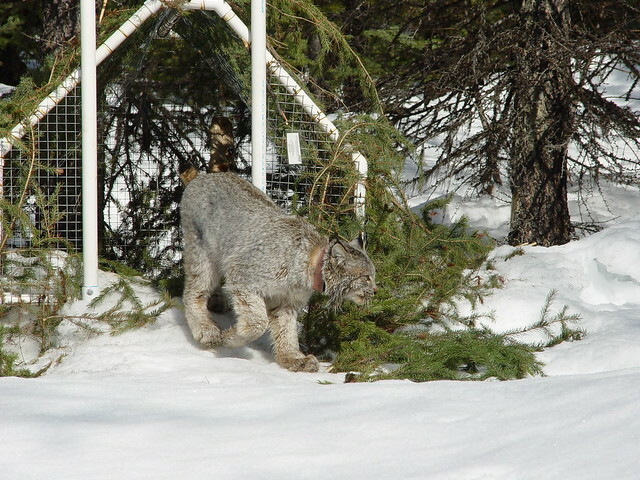 A Canada Lynx is released after being tagged with a GPS tracking device.